The Hebrew Aleph at the beginning of creation and the Bet meaning. Take a compass and start drawing the flower of life, what do you have to do?. You have to start with a point dont you?. The flower can be drawn infinitely. It all started with sacred geometry. You are now starting to understand the beginning of creation as you draw the flower of life. Nothing can be drawn without that single point can it? .Now think of YHWH using his flower of life in the beginning to create the house of consciousness. 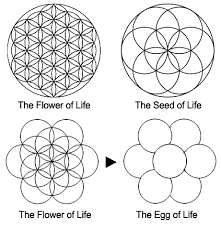 Look my friends all creation is based on the flower of life. This is sacred geometry. Think about this, the creator of the flower of life lived outside the Bet (the house) because he is the creator of the house, the Bet. 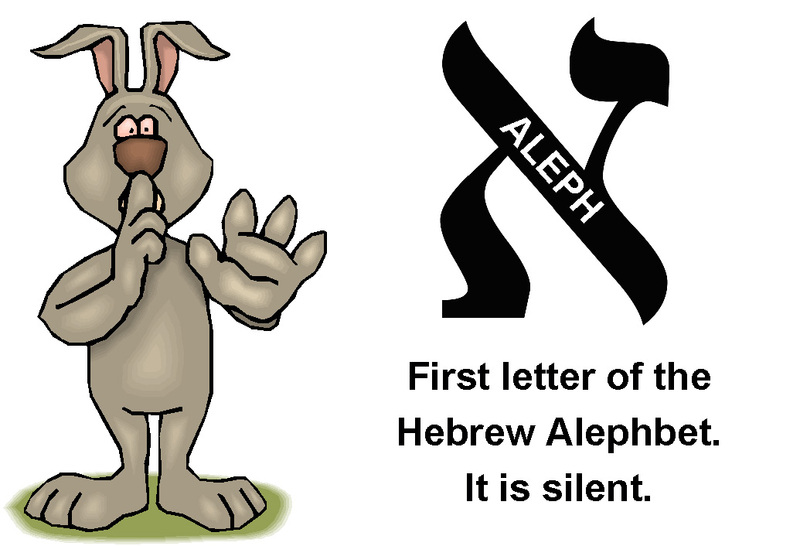 That’s why the Aleph is silent. He was alone and only existed. NO one was around to recognise his exsistence. So YHWH created the Bet = Yeshua and now he was known to exist. This secret is all in the first two letters of the Hebrew alphabet. Critical thinking skills? You need some. I therefore assume you are familiar with Jewish mysticism, including Kabbalah. Another related aspect is Gematria. The Jews assigned a number to each of the 22 Hebrew letters, which means that every word has a numerical value. A number is thus a series of letters, regardless of their sequence. The Revelator makes reference to this when he speaks of the number of the name being 666 (or 616 according to some sources). The word G_d has a number but this sacred number is never mentioned. Their is nothing new in the speculative mysticism you speak of, but it does hint at mysticism in Hebrew writings that is missed by the 21st century Western mind. I thus feel that your cartoon shows lack of respect. I simply pointed out that the essence of your post reflected the well-known practice of Gematria in which mystical Jews located hidden meanings through assigning a numerical value to each of the 22 letters of their alphabet. The values are listed at various places on the web, such as at http://en.wikipedia.org/wiki/Gematria. Personally, I see this process to lie within the area of mysticism, such as practiced by Kabbalists. If you find mysticism interests you, that is your right. I thought it only proper to point out the nature of your position. Look at the first letter of Arthur Fonzarelli's name. It's an A. Alpha, the beginning. Fonzie is the beginning, god. How do we know this? His name, Arthur, rhymes with "author", the source. The Fonz says "eeeehhhhhh!" and things happen when he. He speaks (logos) and things happen. He is the author of existence. He makes things happen merely by his logos. He has a holy chariot, his motorcycle. He is surrounded by beautiful women, virgins and temple concubines alike. His be friend is Richie Cunningham, clearly a message from the author that he wants us to be rich, cunning as a serpent and to enjoy ham. He often solves the problems of those who remain close to him. He wants to help us. This is so obvious to anyone who wants to put the time in to learn it. Lest you think this post has jumped the shark, I remind you that the Fonz literally jumped a shark while wearing a leather jacket, something no human can do, thus proving his divinity. The oldest version of the word Aleph was a pictograph and it was the head of a Bull with horns. Their god was a Bull god named El he is their alpha.